Tibet. Everyday pilgrims from every corner of Tibet trek a long distance to the temple. Some of them even progress prostrate by body length to the threshold of the temple. Pilgrims fuel myriad of flickering butter lamps with yak butter, or honor their deities with white scarves (Kha-btags or Hada) while murmuring sacred mantras to show their pieties to the Buddha. relics. The most famous and valuable one is the Jowo Sakyamuni aged 12, which is circumambulated by thousands of pilgrims day and night. 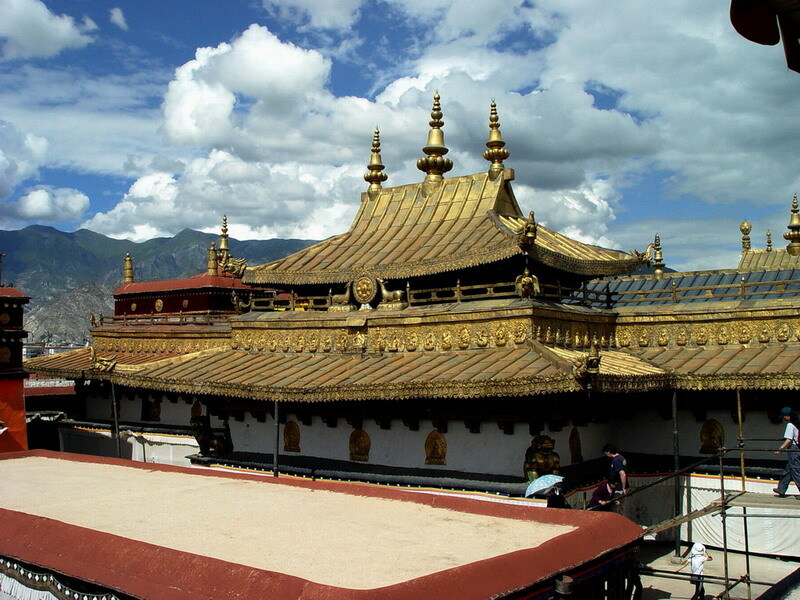 On his sides, there are altars of Songtsen Gampo and his two wives who introduced Buddhism into Tibet. The murals in the main hall are also worth seeing, depicting the procession of Princess Wencheng arriving in Tibet and the building of the Jokhang Temple while other murals tell Jataka stories. Two thangkas imaging Yamantaka and Chakrasamvara from the Ming dynasty (1368-1644) still remain in perfect condition. 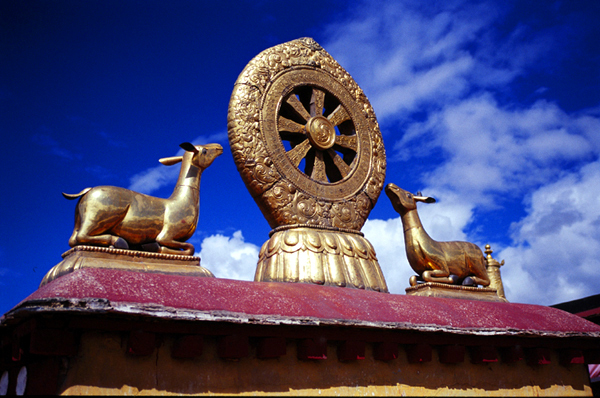 The gold bumpa (a vase) upon which the reincarnations of Dalai Lama and Panchen Lama are decided, musical instruments brought into Tibet by Wencheng and other important stuffs are also kept here.